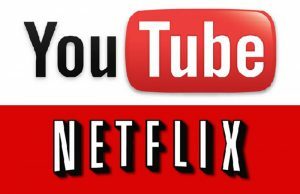 As video and audio streaming continue to be the biggest sources of data consumption on the internet all around the world, the Global Internet Phenomena Report has reported that Netflix and YouTube make up the majority of North American downstream traffic. Between them, the two websites were found to account for 50.31% of internet traffic during peak times every day, with 31.62% of the downstream coming from Netflix and 18.69% from YouTube. In comparison, alternative video streaming services Amazon Instant Video and Hulu only held a comparatively low 1.61% and 1.29% of internet traffic respectively. Part of Netflix’s busy traffic stream may be due at least in part to the company’s attempts to diversify by introducing home-grown programming available exclusively for streaming online. The company’s intentions for the future were made clear when they dubbed themselves the “world’s leading internet television network”. According to network reviewers Sandvine, this original content may not have that much of an effect on the streaming site’s downstream traffic. Sandvine noted that overall, Netflix’s downstream traffic has not increased since the release of their exclusive content, but that such changes were more likely to show up in subscription rises than traffic. Also revealed in the traffic report was that as of this year, file sharing accounts for less than 10% of all internet traffic, only a third of what it was 5 years ago.